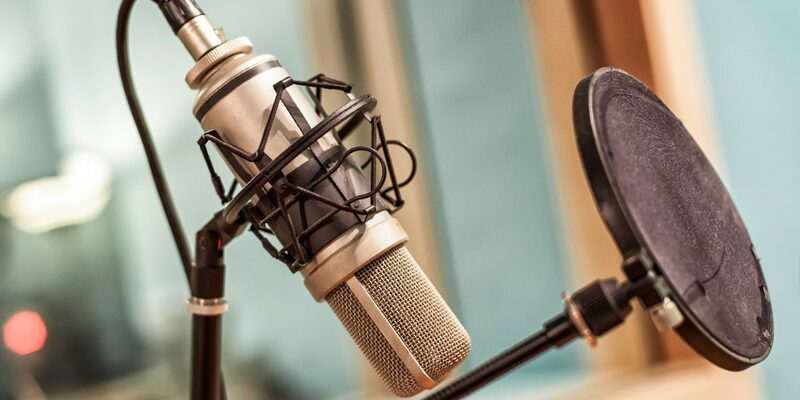 Microphone technology has evolved a great deal over the last century, and throughout that history there have emerged a handful of “go to” mics that have dominated particular periods and genres. Many of your favorite modern bands are creating music that harks back to specific historic periods, using some of the same production techniques that were used by the greatest producers and engineers of all time. 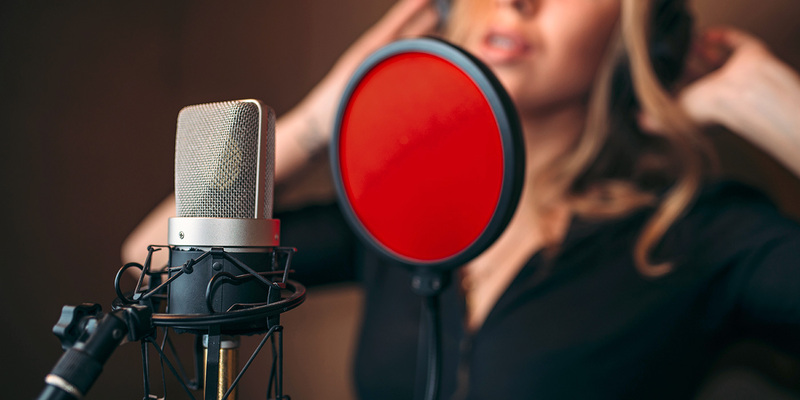 Choosing the right vocal mic for your singer and your project can create a sonic vibe that you can build your entire mix around. 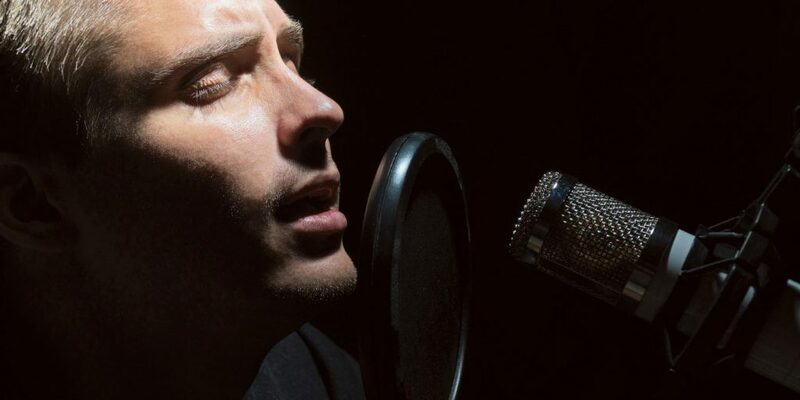 In this article I will write about a few of the holy grail vocal mics of popular music history, and how you can emulate the sound of great old and new 1 recordings using currently available and affordable microphones. I’ll reference some specific recordings, but you can search for any of these mics on YouTube and find many audio examples and even shootouts with much less expensive modern designs. The first commercially available ribbon microphone was the RCA 44A (shown in Figure 1), introduced in 1931. A few years later the updated 44BX quickly became the mic for vocals, radio announcers, horns, and just about everything else due to its warm, smooth sound. To hear this mic check out Frank Sinatra’s The Voice of Frank Sinatra. Many of the earliest Elvis Presley recordings used this mic. Sound pressure waves arriving at the front or back of the ribbon cause it to vibrate, and vibrating a piece of metal within a magnetic field makes electrical current flow. Wires connect the two ends of the ribbon to a transformer to balance the signal and increase the output impedance to about 300 Ohms, and that’s it. See Figure 2 for the inside (and outside) of the Royer R-121. Remember, ribbon mics have a lower output than any other type of mic, so expect to turn up the gain more than usual. Pressure waves arriving from the sides push or pull the front and back of the ribbon equally, so the ribbon doesn’t move and no sound comes out. This is why a traditionally designed ribbon mic has a bidirectional (“figure-8”) polar response, picking up sound from the front and back, but not the sides. Later in the 1930s, RCA introduced the pill-shaped RCA 77DX ribbon mic, which combined omnidirectional and figure-8 ribbon elements to produce a cardioid, or unidirectional, polar response. The modern beyerdynamic M160 uses the same principle. A single element ribbon mic is a pure pressure gradient mic because it produces sound based on the difference in pressure between the front and the back of the ribbon. Pure pressure gradient elements exhibit the most extreme proximity effect of any type of mic: you get more low end response the closer you are to the mic. While some modern designs like the Shure KSM313 or Sandhill 6011A are fairly rugged, most ribbons, especially vintage designs, are incredibly fragile when hit with gusts of moving air. That 3 micron ribbon can stretch out of shape with the slightest puff of air, even if all you’re doing is walking while holding it! So never blow into a ribbon mic or put it in front of the hole on a kick drum (guitar amp cabinets should be okay), cover it with the provided “sock” while moving it, and always use one or more pop filters between the singer and the mic… or you’ll be paying to have the mic’s ribbon replaced. Oh, and store the mic upright; older ribbons can sag under their own weight even if you just set them down on their side for a while. To get the most out of a ribbon mic you must understand three things. First, if you are using a figure-8 ribbon mic, make sure there is no reflective surface behind the mic. Back up away from studio windows and walls! However, the rejection of sound from the sides provides much more isolation than cardioids. I frequently record 3 or 4 horn players standing shoulder to shoulder in a very small room. I love to use figure-8 ribbons because there is little leakage between the mics. Some ribbons, like the Royer R-121 and the Shure KSM313, are brighter from the rear, so try them both ways! Be aware that sounds arriving from the back of the mic will output in reverse polarity, or 180 degrees out of phase. This is an issue when you combine the signal with another mic, like a backwards ribbon and a Shure SM57 or Audix i5 on a guitar amp. You will want to reverse the polarity of one of the mics so they don’t sound thin when mixed together. Second, most ribbons have a flat frequency response from 20 Hz up to about 10 kHz. Some have a high end response that extends almost to 20 kHz, but even these will sound darker than moving coil dynamics and condensers, most of which boost high frequencies. If you are tracking vocals for a bright pop mix you may find ribbons too dark, but in other situations you may prefer this. As the Royer Labs website says, ribbons “hear like your ears” and do not color the sound in the high end. Ribbons are wonderful for solo vocals in sparser arrangements, and can tame bright, edgy voices. They are also popular for miking guitar amps for a thick sound with a beefy low end. Third is that massive proximity effect—use it! Try different distances for the exact low end boost you like. You may find yourself placing it farther away than you expect; skillful placement is your magic bullet! Don’t be afraid to use equalization to boost the high end, even aggressively. You will still get a certain ribbon vibe: bright but smooth. Many engineers describe the ribbon sound as “compact” with a warm and detailed midrange, great for tucking your lead vocal neatly between the darker and brighter elements of your mix. Check out The White Stripes’ Icky Thump album. According to producer/engineer Joe Chiccarelli, the title track was done with a Neumann U47 condenser but the rest used the RCA 77DX 2 ribbon or the Shure SM7 moving-coil dynamic. Tracks 2 and 3 in particular feature a nice midrangy lead vocal that sits underneath the brighter instruments, blending in more than riding on top of the mix. I’ll bet you $5 that was the ribbon! There are many fantastic ribbon mics being made today. Wes Dooley of Audio Engineering Associates (AEA) has reproductions of the RCA 44 plus his own original designs. Cloud Microphones has modern takes on the RCA design with a classic vintage sound. You can still buy the venerable Coles 4038, which was Ringo’s overhead mic in the early 1960s and also used at Abbey Road for horns and guitars. The Royer R-121 is a bit more clear sounding than some ribbons and is popular for vocals, guitar amps, and piano. 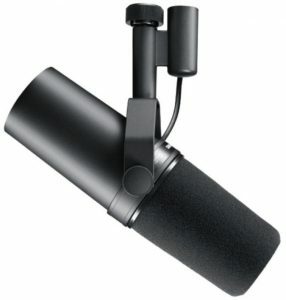 The Shure KSM313, with its unique “Roswellite” ribbon, is unusually resistant to wind damage. sE Electronics has a line of affordable ribbons with extended high frequency response, some with a condenser style 10 kHz boost. My current favorite from a price/performance standpoint is the Cascade Fat Head, a great-sounding ribbon for less than $200! It’s on the dark end of the spectrum, but that’s what EQ is for. In moving-coil dynamic mics, a coil is attached directly to a plastic diaphragm. Behind that assembly is a magnet. Sound waves vibrate the coil in the magnetic field, and a signal comes out. This signal is connected to an internal transformer and that’s all there is to it. This type of mic does not respond as quickly to transient signals as a ribbon because of the higher mass of the diaphragm/coil assembly, but it is much more rugged and cannot be damaged by a puff of air. It is also much cheaper than a ribbon. You can hear Stevie Wonder sing into the Electro-Voice RE20 (Figure 3) on “Superstition”, and a Shure SM7 (Figure 4) was used for most of Michael Jackson’s vocals on the Thriller album. Even the pedestrian Shure SM57 and SM58 have been used to cut hit records! These mics will put you somewhere between condensers and ribbons sonically, and are great when you want something brighter than a ribbon without the sheen of a condenser. In Berlin in 1947, Georg Neumann introduced the U 47 large diameter, dual-diaphragm condenser microphone (Figure 5). The U 47 employed the VF14M vacuum tube, manufactured by Telefunken, which put its own logo on the mic and distributed it. The “U” stands for umschaltbar, German for “switchable”, because the U 47 was the first condenser to switch polar patterns, in this case omnidirectional and a roughly supercardioid pattern. Neumann designated the two patterns as “Kugel” (ball) and “Niere” (kidney). The first U47 mics featured Neumann’s M 7 condenser capsule. The front of the capsule is a very thin (8–12 micron) circular piece of gold coated PVC (polyvinyl chloride) plastic film. The diameter is 1 inch, which we refer to as “large diameter”. This diaphragm is tensioned about 40 microns in front of a brass backplate. DC voltage applied across the diaphragm and backplate charges the capsule. Sound waves arriving at the front of the capsule vibrate the diaphragm, causing a tiny variation of the charging voltage. The internal tube circuitry amplifies this changing voltage and sends it to the output transformer, which isolates and balances the signal. A precise pattern of small holes drilled through the backplate allows some sound pressure to reach the back of the diaphragm. Amplitude and phase differences between the front and back of the diaphragm result in a polar pattern that is basically supercardioid around 1 kHz, more directional at higher frequencies, and more omnidirectional at lower frequencies. We refer to this kind of capsule as pressure gradient, but not a pure pressure gradient because not all the sound can get at the back of the diaphragm. (If the backplate had no holes in it at all, you would have a pure pressure omnidirectional capsule with no proximity effect, but that is a topic for another article!) This kind of capsule exhibits proximity effect, but not as much as a pure pressure gradient like a ribbon. On the back of the capsule is a second diaphragm sharing the same backplate. In the cardioid setting only the front diaphragm is activated. In the omnidirectional setting both diaphragms are activated and their signals added. The U 48, released in 1957, was switchable between cardioid and figure-8. The figure-8 pattern was achieved by subtracting the back signal from the front, which also results in signals arriving from the back of the mic being output in reverse polarity. Around 1960 Neumann started using the new K 47 and K 49 capsules, which used 6 micron polyester diaphragms instead of PVC. The K 49 capsules had more precise matching of the tension between the front and back diaphragms for more uniform omni or figure-8 patterns. Nowadays the original M 7 capsules don’t hold up very well due to drying and deterioration of the PVC. However he did introduce the solid-state U 47 fet. This phantom-powered mic used a Field Effect Transistor instead of a tube. The U 47 fet was less expensive, and had only a cardioid pattern. Those K 47 capsules that did not have the tighter matching between the front and back were used. Even though only the front diaphragm was activated, it is a good thing that the back diaphragm was there, because dual diaphragm mics have better behaved proximity effect up close. This is explained in one of the most important papers you will ever find on microphone technology: Unique Directional Properties of Dual-Diaphragm Microphones by Guy Torio and Jeff Segota, available on the Shure website. Read it—it will change how you do everything! The U 47 fet sounded a bit different than the U 47, and didn’t catch on for vocals in the same way, but became very popular for kick drum and upright bass. The U 47 has an instantly recognizable sound due to the combination of the capsule, tube electronics, and output transformer. The cardioid frequency response exhibits a gradual bass rolloff below 300 Hz and a 4 dB double camel hump rise centered around 4 kHz and 10 kHz (easily seen in Figure 6). This makes the U47 noticeably brighter than the ribbon mics that preceded it, and engineers and listeners have remarked on the enhanced “clarity” of the sound. A U 47 has a more pronounced proximity effect than later designs, which balances out the high midrange clarity when you get close. This combination of low end warmth and high/high-mid clarity is the U 47 sound! The mic was expensive, about $3500 in today’s dollars, so only well heeled studios could afford it. Capitol Records bought a bunch, and it became Frank Sinatra’s mic of choice—he called it his “Telly”. Pictures show him a very consistent 1 foot or so away, with no pop filter. At that distance his voice sounds very well balanced, warm but without a noticeable bass boost, but on various songs you can clearly hear him moving in and out. The album Songs for Swingin’ Lovers is a great example of Sinatra at his best. On We’ll Be Together Again you hear him sing the first two low quiet lines rather close, and then as he goes into his higher register it is quite obvious that he backs up a bit. The sonic effect is quite remarkable! Low, quiet passages sung very close yield a blooming, intimate warmth, and higher, louder passages at a distance really bark at you in a way that cuts without getting edgy. Producer George Martin used the U 47 and U 48 on the Beatles from the very beginning. During the recording of the first few Beatles albums there were strict rules at Abbey Road specifying just how close to a mic you were allowed to get. Some session photos show the Beatles singing about 8 to 10 inches away for solo vocals and up to a foot or two for trio vocals. In those sessions the Beatles set up almost as if they were on stage, with no headphones. Up front a U 48 was placed, set to figure-8, and turned sideways to reject the drums and amps. It was common for two Beatles to sing into a single U 48, one on either side of the figure-8 pattern. The moderate distance resulted in the clear, aggressive vocal sound of those early records. Beatles producer George Martin has called the U 47 his favorite microphone, and used them to record almost everything on Rubber Soul. The harmony parts on “Nowhere Man” are a great example of that 4 kHz U 47/48 zing! By the time Revolver was recorded, the Beatles had so much clout that they got what they wanted, and what they wanted was to experiment with new techniques. Studio administration goons were banned from the sessions, and Geoff Emerick was brought in as lead engineer. You can clearly hear the Beatles singing closer to the mics. Compare Paul’s count-in on “I Saw Her Standing There” from the debut album with George’s muttered count-in on “Taxman”. The proximity effect is obvious. Vocals on Revolver sound thicker and richer than on previous albums. Emerick has said that the string players on “Eleanor Rigby” would instinctively back away from his very closely placed U 47s between takes, so he had to keep walking out to move them back in! Things kept getting closer and closer. If you watch the “All You Need is Love” satellite broadcast, you will see John Lennon singing as close as an inch away during the quieter verses (using a pop filter (or “spit screen” in the UK)) and moving back about a foot for the louder choruses. He sounds warm and present up close and perfectly blended with Paul and George when he backs away. The key to rocking a U 47 is to work that distance! Use a pop filter so you don’t hawk loogie on the diaphragm. Then try singing loudly and softly at different distances. A distance of 1 foot or more works well for background vocals because the proximity effect is not so significant. You will get a clear sound that will not muddy the mix. For lead vocals you can move in and out depending on how loud you are singing. For consistently soft or low parts you can lean in really close, maybe only an inch or two away, then back off for louder passages. But for consistently loud and aggressive stuff you can also just stay about 2 or 3 inches from the mic. You will be feeding lots more level into the tube, which loves to be saturated this way. You might need to dump a bit of low end with EQ, but once you do you are left with a sound that has become a mainstay for loud rock singers. Don’t forget that the frequency response changes with the polar pattern, so try them all! If money is no object you can buy an original U 47 for maybe $10,000. But for far less money, there are emulations out there that some engineers prefer to the originals. Telefunken is still around and has re-introduced their version, but also check out mics by Wagner, Soundelux, Manley, Bock Audio, Pearlman Microphones, Lawson, Peluso Microphone Lab, Flea, Audio-Technica (notably the tube cardioid AT4060), and Neumann’s own M 147, a fixed cardioid, tube, transformerless U 47. Discouraged? Don’t be! Consider this quote by the great Alan Parsons: “I’ve certainly spent many hours with finicky artists trying different vocal mics, all of which sound remarkably similar, and all I have to say is that I felt it was a waste of time.” I can tell you that I have done classroom shootouts with U 47-style mics priced between $300 and $3000 and found that they do in fact sound remarkably similar. I can personally recommend LEWITT microphones. Between $600 and$1000 they have four mics with a perfect double hump response, including the LCT540 FET fixed cardioid, the multipattern LCT640 FET (see Figure 7), the tube LCT 840, and the remarkable Tube/FET LCT 940 which has a knob to blend the Tube and FET sounds! I feel this is one of the great mic bargains of all time. For a bit less, consider the RØDE NT2-A, NTK, and K2. At $299 it’s hard to beat the Roswell Audio Mini K47, which uses a capsule similar to that of the original U 47, and for even less than that, there’s the remarkable Aston Origin, which combines a great sound with rugged construction and great relief from noise and plosives. So go forth and experiment! I’ll endwith a short list of some well known tracks and the mics that were used to record them. Happy tracking!